Who makes the best Bloody Mary in the area? How about the best chili? 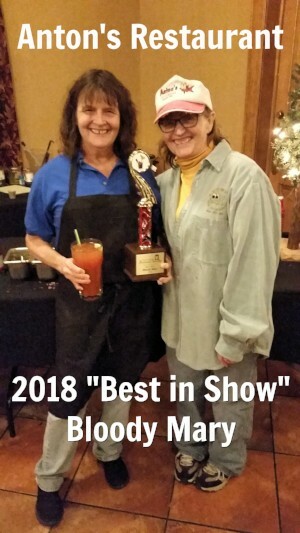 Area bars and restaurants competed for “Best in Show” Bloody Mary and "Best in Show" Chili at the Red Carpet Event Center. Over 250 people attended this year, with $3,000 raised in ticket revenue! All of our competing establishments did a great job and truly are heroes for the animals. Please visit them often and say thanks for their participation in this fun event! Use the links in the column to the right to visit their websites. Because of our generous sponsors and competitors, all ticket proceeds benefit the Tri-County Humane Society. Follow the event on Facebook for future updates! "Best in Show" Bloody Mary and "Best in Show" Chili were selected by our panel of celebrity judges. They each picked their favorite from the top three winners of the general voting in each category (Red Carpet, Anton's and House of Pizza for Bloody Mary and The Place, Torch Sauce and Anton's for Chili). 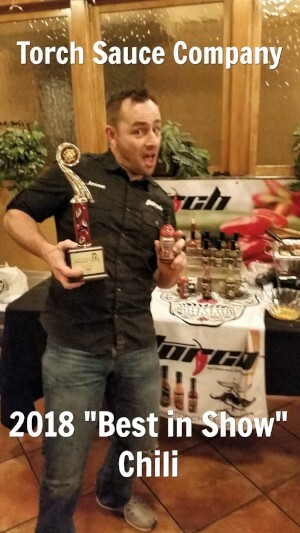 The top three winners were judged by our celebrity panel of judges, and the Best in Show Chili winner was.... Torch Sauce Company! The top three winners were judged by our celebrity panel of judges, the the Best in Show Bloody Mary winner was... Anton's! 2017 Chili Best In Show winner!